Dr Best has used his extensive paediatric knowledge and experience to develop a guidebook on everything parents need to know about children and their growth, development and safety. While this blog will guide you on how children develop their social skills and parenting issues such as communication and discipline, Kidsense also covers areas such as feeding, sleeping, dental issues, motor and speech development, vaccinations, common child illnesses, safety inside and outside the home, bullying and much much more. Make Kidsense your parenting bible today! Available from just $19.95 from this website. Welcome to the website of Dr James Best, one of Australia's leading paediatric family doctors. Here you will find his weekly blog posts on parenting issues relevant to the modern Australian parent, complete with videos of Dr James Best explaining each topic. 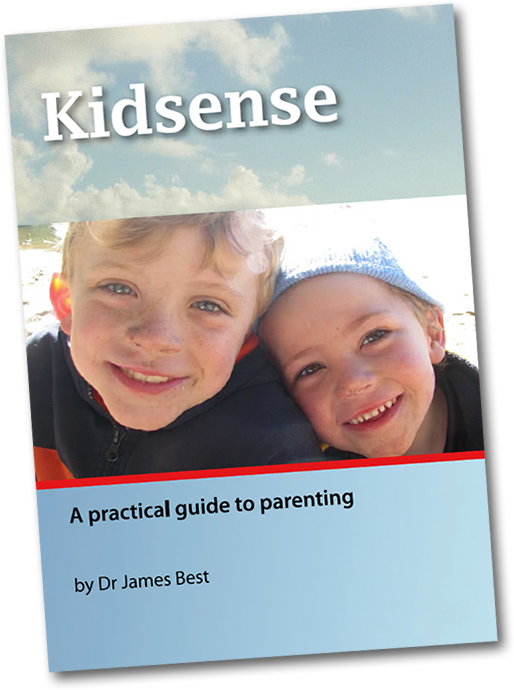 There is also available on this site his comprehensive e-book, Kidsense, a nearly 300-page guide to all important aspects of child growth, development, safety and health.